It was very hard to drive away from Kami-kochi after enjoying its natural beauty and lovely hiking, but we jumped back in the car and drove for two hours to Gifu prefecture. Our destination was the small town of Takayama, written in Japanese as 高山, meaning Tall Mountain. A quaint little place with a famous tourist district known as San-machi, its well preserved traditional architecture has earned Takayama the nickname ‘Little Kyoto’. It was a nice stop for a night, but staying for two nights was probably a mistake, as you can see everything within a one-night stay. However, the hotel we stayed in on the second night made up for it, which I will get to later. 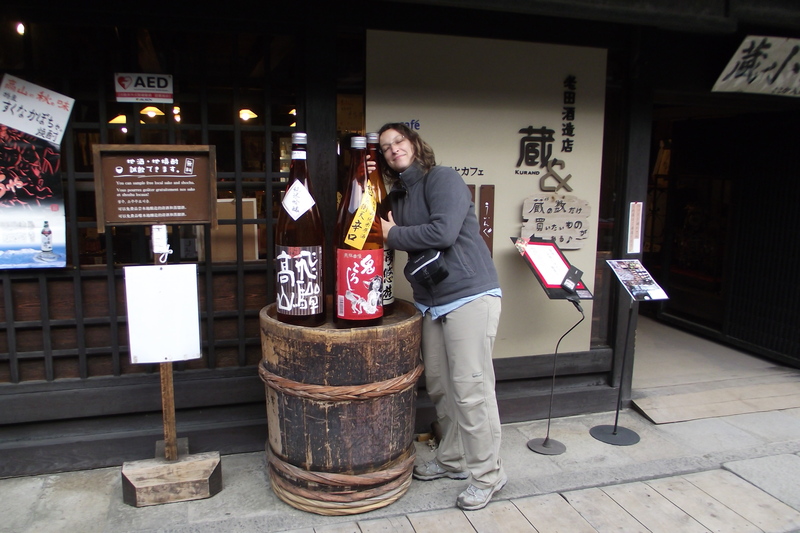 The old houses are lovely, and the streets are lined with sake breweries, tiny restaurants and souvenir shops. It’s nice to wander through and very picturesque, but like I said it’s a pretty small place, and you get the layout of the town pretty quickly. 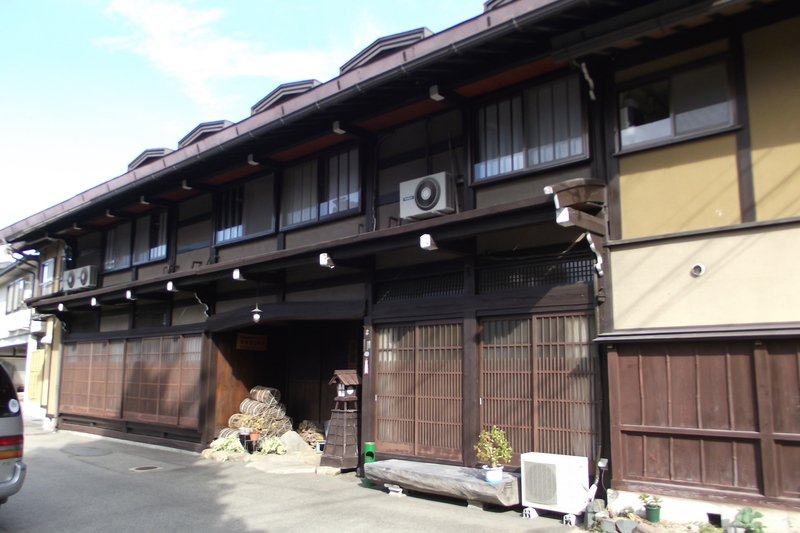 Our first hotel, Sosuke, was a really weird experience because it was a traditional Japanese guest house but every single guest, except for Seiji, was a foreigner! That has never, ever happened before. Usually I am the only foreigner in the place! 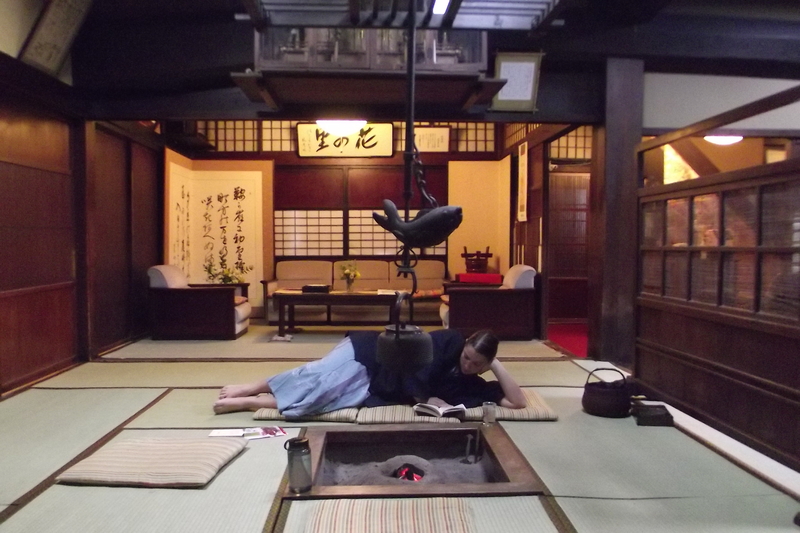 Sosuke ryokan -- foreigners welcome! 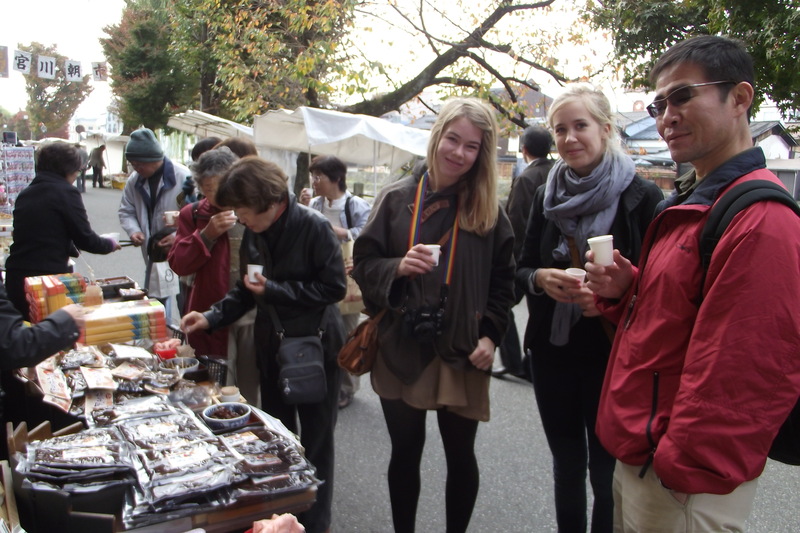 Every day there are two morning markets, and we invited two Swedish backpackers from our guest house to come walk there with us since it was their first time in Japan and we were happy to introduce Japanese food to them. The Miyagawa Morning Market was the good one, stretching along the river and full of stalls selling local food and handicrafts. You can certainly fill up on the free samples and try a lot of different things, even if you don’t know what they are! Now, as I mentioned, Takayama is small and one night would have been better. But, the amazing hotel we stayed in on day two made up for it. We took a bit of risk on this one, as it is located about a 15 minute drive outside of downtown Takayama, and as the saying goes, ‘location location location’. Even the owner warned us that there is nothing around in the area (no restaurants or anything), so we weren’t sure if it was a good idea. But it turned out to be an incredible experience. Owned and run by a family, Shitanda Ryokan is a 180-year-old old incredibly preserved traditional kominka with irori (charcoal hearth) and onsen, as well as big bedrooms and lovely tatami rooms. We were the only guests there so we had the whole place to ourselves. It was like being in a samurai movie set or something. I truly enjoyed it, but if you don’t have a car, it’s not really a practical choice as there are no buses to get there either.